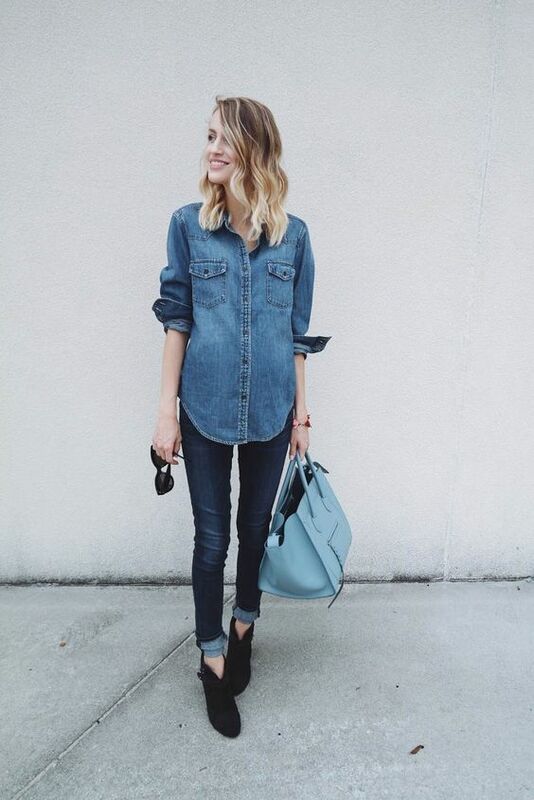 Denim is a fashion staple in almost everyone’s wardrobe. I mean, come on, you definitely own a pair of denim jeans or some sort right? When donning denim on denim can make an outfit look boring but this is the part where you accessorise and put on that favourite lipstick of yours and work it. You don’t need 50 shades of denim to look your best. Pairing two different shades of denim will help to differentiate your look or white jeans with a denim jacket or black jeans with chambray shirt. Here’s a tip, darker colours make you look slimmer, lighter shades of denim will highlight your outfit. So if you want to look like you have long, skinny legs, opt for a dark wash skinny jeans and light denim shirt. To spruce up your look, accessorise with item that are contrasting so that you won’t look drab. A simple bright-coloured bag, shoes or hair accessories will do the trick. Another option would be pairing your outfit with a belt to separate the look. This will help by making your look structured and separate your body and legs. Something about distressed denim (ripped jean shorts or jeans) just lends itself well to the denim on denim look. So don’t be afraid to rip away. A distress look will make you relax and casual. A denim look does not always have to entail skinny jeans and chambray shirts. With so many brands exploring different cuts and style using denim, we can easily break the mould of the standard denim jeans, shirt and even overalls. A denim dress is the easiest and fuss free way to wear denim. A flare skirt paired with a turtleneck top and denim jacket is already a step up from the usual layers, but wearing combat boots screams cool and trendy. If all else fail, just have confidence to rock your outfit. Confidence is key to anything really. Denim is my go-to outfit when I don’t have to the time to mix and match my clothes. This chic and fuss free outfit will continue to be a staple in many of our wardrobes, so we should be adventurous and experiment with our denim clothing item. Aishah is obsessed with Game of Thrones and she can binge watch it over and over again. Her dream is to live on a boat so that she can be away from civilisation. Seriously, animals are way better.